The Dell Latitude Z600 is Dell's take on a high-end business laptop. Sporting a striking design, there is a wealth of impressive software on offer to make this an excellent choice for those who take their business seriously. The machine certainly looks the part and the soft-touch cherry-red finish is both functional and attractive. The laptop's wide chassis means there's plenty of room for a large backlit keyboard, but we feel the space could have been better utilised – with a dedicated numeric keypad, for example. The typing action itself is excellent, however, despite a bit of flex. The laptop is crammed with proprietary software to make your life easier, like Dell Capture which uses the laptop's webcam to take photos of business cards, which you can catalogue and even export to your Outlook address book. It's quick, intuitive and not at all gimmicky. It also lets you scan documents and convert them to PDF format for easy organisation or emailing. The right-hand-side of the laptop's screen frame is touch-sensitive. When you touch the bottom of the frame a number of options appear, giving you touch-access to various applications. It also lets you scroll up and down documents quickly and easily, instead of using the touchpad. A CULV Intel Core 2 Duo processor provides everyday performance, alongside 4096MB of DDR3 memory. We found it to be decent enough for office work, but anything more resource-intensive will see the machine show signs of lag. An integrated Intel graphics card provides the laptop with limited 3D performance, but it's fine for watching movies on – although the laptop doesn't feature an integrated optical drive. Nevertheless, a 256GB Solid State Drive is in place and provides sufficient room for storing the occasional film, along with all your work files and folders. The 16-inch screen is fantastic and the 1600 x 900-pixel resolution is very sharp. The panel is also bright and there's no shiny screen coating, meaning no distracting reflections in bright light. The large screen size does mean that this isn't the most portable laptop around, but the 2.1kg the machine weighs isn't going to be a massive burden and the 200-minute battery life is just acceptable. Connectivity is decent, with 802.11n Wi-Fi and Gigabit Ethernet on board, and there's also two USB ports, an eSATA interface and a DisplayPort in place for hooking up to external monitors. 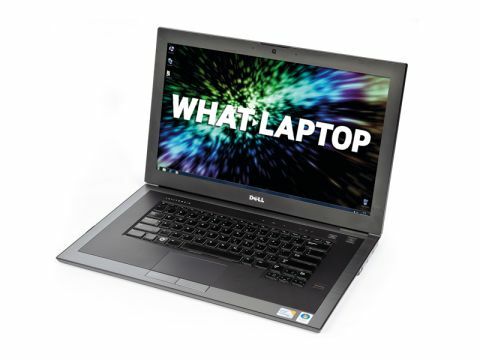 We are impressed by the Dell Latitude Z600. It's a smartly designed machine with decent performance and some fantastic business features.